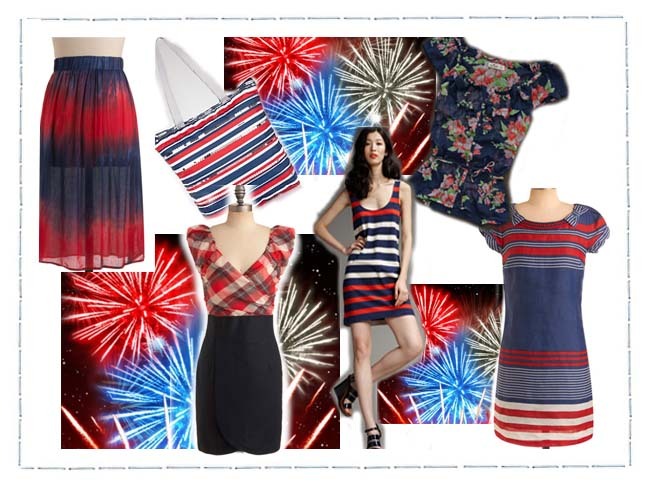 Patriotic Picks To Celebrate America's Birthday! Show your American pride this Fourth of July in the fantastic combination of red, white and blue. While you could wear a t-shirt emblazoned with the American flag, it’s much more classy and subtle to go for outfits that combine the three colors in interesting patterns like madras or stripes. So pick your favorite combo, dress to impress and wave your flag high!